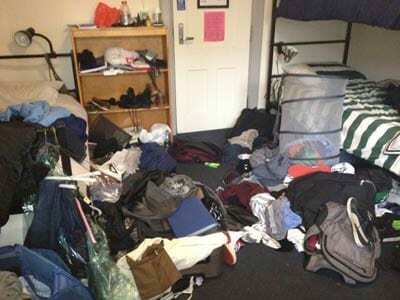 Is your roommate always leaving the room a mess? Do they keep you up every night? Can you never seem to agree on anything? Here are some tips on dealing with common roommate conflict through communication. With the semester just getting underway it is easy to let those nagging problems between you and your roommate explode into full blown battles. Your RA is a great resource when it comes to community living issues and will be facilitating roommate agreements with you and your roommate as well as, suitemates. Communication is fundamental to solving roommate conflicts as they arise. It’s important to keep in mind that switching rooms isn’t always the answer and trying to work with your roommate to resolve conflict is always worth trying first. Doing so can help you develop better communication skills and it may improve your friendship between you and your roommate. 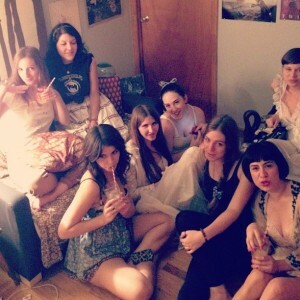 Here are some tips for dealing with common roommate conflicts that we see happen a lot. First and foremost it helps to stay on top of this one before it gets out of control. It is also helpful if you and your roommate are completely transparent about their cleaning tendencies and pet peeves. It is helpful to make a cleaning schedule and divide up the cleaning tasks week by week. This allows for easy accountability among you and your roommates but the everyone has to do their best to stick to the schedule for it to be effective. What if it’s just clutter that encroaches on your space? If you notice that your roommate has a clutter problem and it is affecting you just make sure to be direct and tell them that it is negatively affecting your space. A big difficulty for many roommates is difference in class schedule and sleep schedule in general. As someone who has lived in residence halls for three years one of the most common problems I’ve heard among roommates is that “My Roommate sleeps through his alarm every morning/ hits snooze six times and wakes me up even though I don’t have early class.” This problem is easily resolved through honest communication. It is likely that if your roommate is guilty of this they are not considering how it affects you. If you take the time express how this negatively affects you, your roommate should be able to respect that and make the necessary changes to impact you less when they wake up. Another example of difference in lifestyle can be centered on a roommate who never leaves the room. This can lead to conflict because the other roommate wants some privacy in the room and feels that it is impossible to get. A solution to this can be to come up with specific times within the roommate agreement that each roommate can have privacy in the room. Lastly issues can arise when one roommate likes to go out or stay up late and the other one doesn’t. This can create conflicts at night and in the morning because the roommates are awake and moving throughout the room while the other is trying to sleep. An ongoing conversation between you and your roommate can help to establish courtesy rules for each other when the other is trying to sleep. These rules can include what lights to turn on, acceptable television volume, how many times a roommate can hit snooze on their alarm. Another common problem that arises between roommates is when roommates disagree about what foods can be shared. It is important when starting out living with someone new to go over exactly which things you are okay with your roommate using and which things you are not. When this doesn’t happen it usually becomes a problem. When doing your roommate agreement make sure to be specific about how you feel, if it is okay for your roommate to borrow a cup of sugar but not your entire package of Oreos make sure they know that. Make notes in your roommate agreement and use it as a guide for what you and your roommate are okay with sharing. Sharing a space with someone can be overwhelming sometimes and this can be amplified if this person is constantly bringing their friends into the room. At the College of Charleston the Visitation policy allows for up to three guests to be signed in by a resident during the day, with two guests allowed to stay overnight six times a month no more than two nights in a row. It is up to roommates to specify any other stipulations they want to add to these policies for their own rooms. For example if roommates agree that no guests should be allowed to stay overnight on weeknights they can add that to their agreement. It is important that roommates hold each other accountable to these policies and have an ongoing conversation evaluating how they are working for them.This helps to prevent conflict on the front end and they can also add to their roommate agreement any agreed upon terms if it becomes necessary. 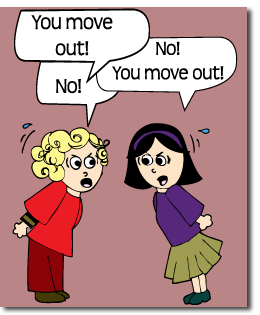 There are many resources at your disposal to help you manage roommate conflicts. If communication between you and your roommate breaks down it is important to remember that your RA is their to help with these situations. It is also important to remember that sometimes things just do not work out and if after trying to work on things with your RA and your Hall director a room change is also an option. These become available after the first two weeks of the semester and hopefully will make both you and your roommates situations better. Hello, and welcome to our site! We hope you like it here and decide to stay. Ways to Love YOURSELF this Valentine’s Day!